Nikhil J. Palekar, MD, is a board-certified geriatric psychiatrist and Medical Director of the Stony Brook Center of Excellence for Alzheimer's Disease. He is an Associate Professor of Psychiatry at Stony Brook University School of Medicine. He is also the Division Director for Geriatric Psychiatry and Director of the Geriatric Psychiatry Fellowship Program at Stony Brook University Hospital. 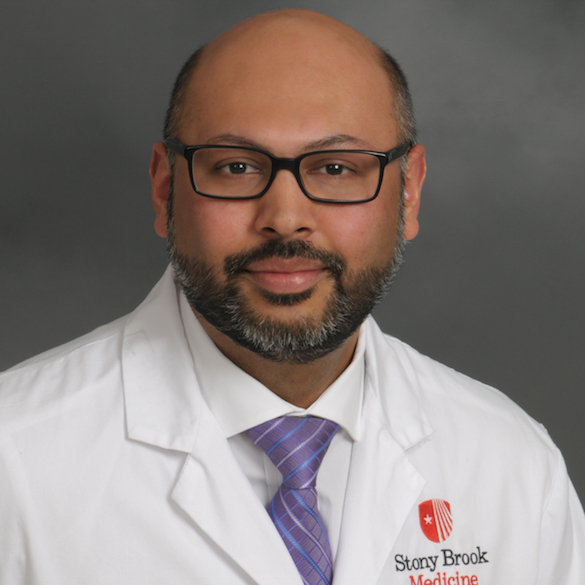 Dr. Palekar joined Stony Brook Medicine from New York – Presbyterian Hospital/Weill Cornell Medical Center where he was Chief of a specialized program for treatment resistant mood and psychotic disorders. An accomplished clinician, educator and scientist, Dr. Palekar is an expert in the treatment and research of cognitive and mood disorders in the geriatric population. He has been a co-investigator on several NIMH-funded clinical studies in adult and geriatric psychiatry and has presented his research at both national and international conferences. His current research focus is on using imaging modalities to study cognitive impairment and mood disorders in the elderly. Dr. Palekar has been a gifted educator, mentor and supervisor to medical students, residents and geriatric psychiatry fellows. In 2016, Dr. Palekar was the recipient of the Planetree – Physician of the Year Award for excellence in patient-centered care. Dr. Palekar received his medical degree from University of Pune, India. He completed his Psychiatry Residency and Geriatric Psychiatry Fellowship at SUNY Downstate Medical Center where he served as Chief Resident. Following his training, Dr. Palekar joined the Weill Cornell Institute of Geriatric Psychiatry. He is a member of the American Association for Geriatric Psychiatry.